Vail Valley Anglers Float Certification Course is being offered twice in May of 2019. 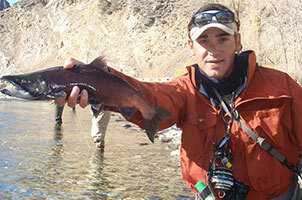 This course will train and certify you to become a fly fishing float guide in Colorado. All training will occur on the Eagle River, Colorado River and Roaring Fork River. Additionally it will provide the minimum of 50 hours of on-river instruction as required by the state of Colorado in order to legally guide float trips. We maintain a 2 to 1 student to instructor ratio. Lodging is not included but we do have lodging discounts available for students. There are also opportunities for camping close by and we do have a shower facility we can offer to students. Rowing and running rapids can be both physically and mentally challenging. Being prepared, getting a good night’s rest and staying hydrated are all important factors to becoming a successful float guide. We ask that you please take care of yourself throughout this course. The weather and river flows are unpredictable this time of year. Be prepared for worst case scenarios (severe weather). Our primary concern is your safety and everyone participating in this course should be physically and mentally ready to be challenged. In addition to the Oar Certification Course we are offering a Guide School for two sessions beginning May 6th, 2019 and May 20th, 2019. No make-up sessions will be offered. Water flows vary so bring a variety of clothes and dress with layers. We recommend fleece, wool and polypropylene (no cotton which traps sweat and water versus wicking it away.) Bring a hat, gloves, rain jacket, sunscreen, a change of clothes, polarized sunglasses, snacks, water bottle and a dry bag. Everything should be packed into your dry bag, which is crucial to keeping your gear dry on the river. Personal flotation devices (PFD’s) will be provided by Vail Valley Anglers. LUNCH WILL BE PROVIDED EVERY DAY AT NO ADDITIONAL CHARGE. We do not provide lodging but there are several options available for our students. Just outside the doors of the Vail Valley Anglers fly shop is the Inn at Riverwalk where students will receive a discounted rate of 10% off. Other hotel options in Vail and Beaver Creek are endless at this time of year since it is after ski season and before the busy summer season. Additionally, there are several campgrounds in the area where students may wish to stay. For students who are looking to share lodging costs please contact the shop to get in touch with other students. The Division of Parks and Wildlife regulates outfitter licensing and commercial boating on public rivers throughout the state of Colorado. All students must successfully complete the following required training elements to obtain river guide qualification. All fly fishing guides in the state of Colorado Must complete First Aid CPR training. We are offering a CPR/First Aid class on June 4, 2019. Upon completion of your First Aid and CPR training, you will receive a current First Aid & CPR card which is valid for two years in the state of Colorado. Cost of CPR course is in addition to your certification. If you are interested in becoming a guide with Vail Valley Anglers, this course is an excellent way to jumpstart your career as a guide. This course will provide at least the minimum of 50 hours of on-river instruction as required by the state of Colorado. Students will be qualified to guide only with certified trip leaders present on the same trip. An additional 250 commercial hours and 250 hours of recreational boating are required in order to achieve trip leader status. These additional hours of training must occur on equal or greater classification water to the types of rivers you will be guiding upon. 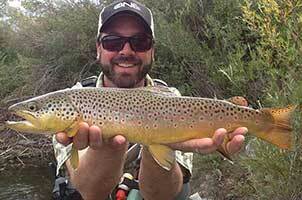 After successful completion of the course, you may be offered a job with Vail Valley Anglers as a guide. Our instructors will evaluate each participant individually. Please feel free to call the shop with any questions or concerns. Our professional instructors have been teaching the Colorado rowing certification course on local rivers for many years.